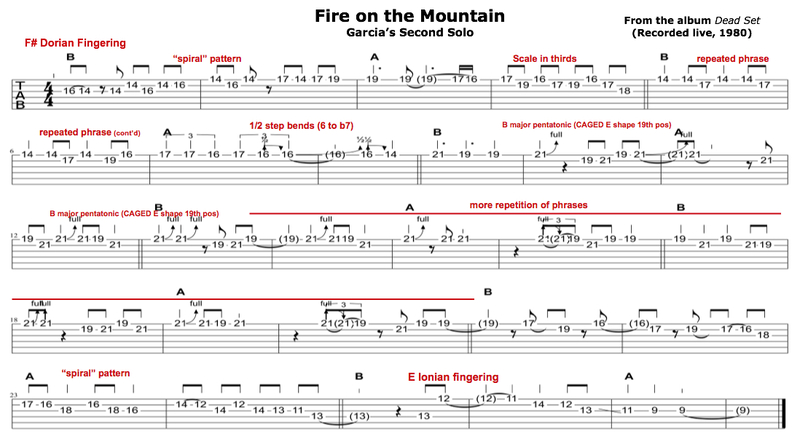 Dead Set was one of the first live Grateful Dead albums I owned, and Garcia’s solos on this version of “Fire on the Mountain” are short, sweet, and simple. In fact I am struck by their simplicity–one of my own faults as a guitarist (and a fault for many of us) is to overplay. Garcia doesn’t overplay here. He is not all over the neck, each solo is only 16 bars long. Instead he hangs with single positions for a long time, patiently milking ideas out of them, concentrating on phrasing and melody. 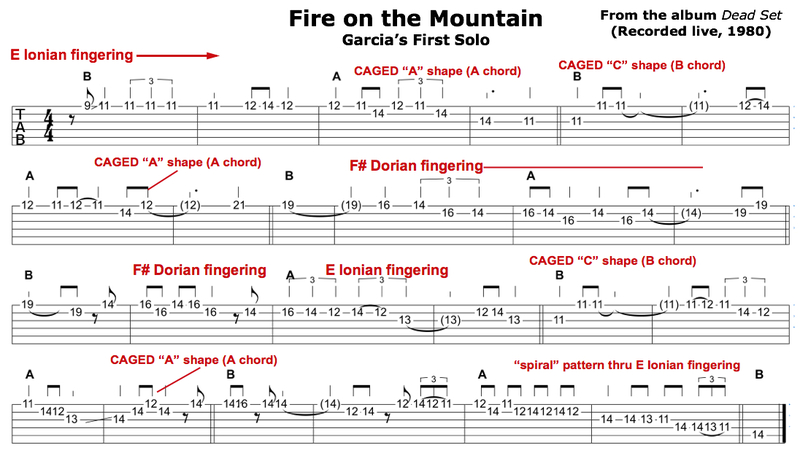 Here is a clean tab of the complete 1st and 2nd solos, without annotations. Scroll down to see annotated tabs, and for the audio files.